With young children and teenagers, social media is part of their everyday experience through the screen of a smartphone. So this small device is having an enormous impact on their development, socialisation, peer-to-peer friendships and ultimately their behaviour. Influencers like 19-years old Miquela Sousa from California, seen here on the left, are having a massive impact on social media and have become Instagram sensations for millions of impressionable young girls. Miquela (@lilmiquela) has 1.5m followers on Instagram, rocking space buns, a micro fringe and a peppering of pretty freckles. She’s an influential fashion blogger, with perfectly penned posts and useful fashion tips for girls like my own daughters. She frequently posts across her Twitter, Facebook and Tumblr accounts promoting fashion brands like Chanel, Supreme and Vetements. In February 2018, Miquela collaborated with fashion brand Prada for Milan Fashion Week, by posting 3D-generated gifs of herself at the Milan show venue wearing the spring/summer 2018 collection. And on Prada’s Instagram account she gave the brand’s followers a mini tour of the space and just like any other top-ranked fashion blogger she’s helping to promote Prada as a cool label. Not to be outdone, Balmain created ‘Balmain’s Army’ that features models Margot, Shudu and Zhi who showcase the latest designs from its BBox line. Even more impressive are the achievements of model Shudu who’s appeared on the front cover of Hypebeast, in the pages of Vogue and V Magazine wearing cool ‘it-brands’ like Balenciaga and Kenzo. Shudu was named by Time magazine as one of 2018’s 25 most influential people on the internet. What makes all these Instagram influencers so special? The concept of artificial intelligence (AI) is still regarded as daunting, having long been associated with bleak dystopia. Movies such as the Matrix and Stanley Kubrick’s A Space Odyssey and novels including Mary Shelley’s classic Frankenstein all reinforce our fear that robots will take over the world and AI will somehow devalue humanity. In an email interview with fashion bible Harper’s Bazaar (yes, really! ), Miquela hit back. Yes, it’s spooky! Although not a real person, it’s clear that Miquela uses Instagram in the way millions of others do on a daily basis. The difference is it’s surreptitiously making impressionable children and teenagers fall for them being real people – which of course opens the door to a moral and ethical debate about such practices. Is there any harm in this, you ask? Well, although Miquela doesn’t actually exist there doesn’t appear to be any harm in what she’s doing, is there? It’s just like when I was a kid, I saw the Honey Monster advertising Sugar Puffs cereal on TV but I guess that’s where the analogy ends as of course the Honey Monster couldn’t be real and Miquela is completely life-like! When she was launched on the social media scene in 2016, many of Miquela’s followers failed to clock that she wasn’t a real person. Even those who did were baffled about where she came from. Looking at her picture on the left, it’s not hard to see why they were taken in. But video games like Call of Duty, Black Ops II and Destiny play on our ability to suspend belief and are also life-like. So isn’t Miquela a natural extension of this phenomenon? She was the subject of many conspiracy theories (you could that fake news!) until earlier this year it was revealed she was the creation of Brud, a start-up digital agency based in Los Angeles, California. In a PR stunt, the agency created a Westworld-style storyline in which their CGI creation found out she was a robot and not human as she had always believed. Others argue that the whole enterprise is clouded by massive conflicts of interest. Under the ASA Codes of Advertising Practice (CAP Code) social media stars are required to clearly define their sponsored posts and ads. 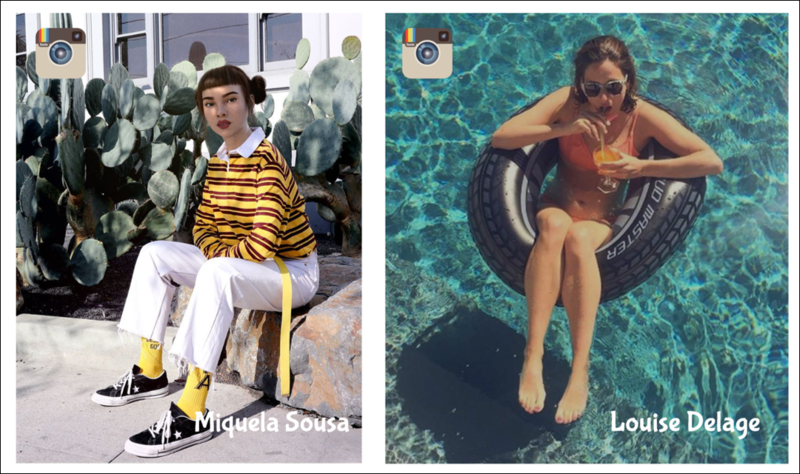 However, with an AI influencer like Miquela it’s much harder for the consumer to see the commercial relationships that are pulling the strings behind her back. Miquela is certainly bankable as she generates revenues from endorsements, brand partnerships, online streaming of her music on Spotify and Apple Music. Surely a brand of clothing will be next in the pipeline. Under the CAP Code, influencers must now disclose their marketing relationships and identify paid posts with a hashtag like #as or #sponsored but it’s not clear how those rules would apply to influencers who aren’t human and who’s backers are lurking in the shadows. This hasn’t stopped major brand owners like Coca-Cola from entering into these forms of ‘surreal’ brand partnerships. The drinks brand recently signed up endorsement from Alex Hunter, a virtual character from the hugely successful FIFA video game franchise to help promote its online presence as a global sponsor of FIFA World Cup. Unlike other types of celebrity endorsement where brand owners constantly run the risk that the personality may make headlines for all the wrong reasons, a CGI creation can’t ‘go rogue’. In this way they can always be ‘on message’ and also be manipulated in a way that celebrities in the real world can’t be told what to do. That also raises serious ethical and psychological issues. For example, does Miquela present a selectively curated and unrealistic idealised picture of what a 19-year-old girl should look and dress like? So can these CGI avatars be used for raising social awareness of issues and achieve a higher sense of purpose that avoids potential psychological damage in the process? Meet Louise Delage (@louise.delage), a 25 years-old Parisian, seen here on the right. She posted her first profile picture on Instagram back in 2016, seen here relaxing with a drink in her hand and having fun. Louise is glamorous and enjoys a hectic social life, so she quickly gathered a strong following of between 400-1,000 views per post. After 150 posts she had got 65,000 followers. Most reaction to the posts was positive, with hundreds of young women admiring Louise’s joie de vivre – on the beach, in a bikini, in a nightclub and on a trip with friends to Berlin. A few of her posts got thousands of views. What most followers failed to see was that in every picture, Louise was holding an alcoholic drink in her hand. Louise, like Miquela doesn’t actually exist, except in her virtual world, although she is a real model who was photographed to take on the online persona of Louise Delage. It was a creative idea to help promote Addict Aide, a French addiction charity that seeks to raise awareness of alcoholism among young people. The fake Instagram account aimed to show “a person people would meet every day but whom we’d never suspect of being an addict”. 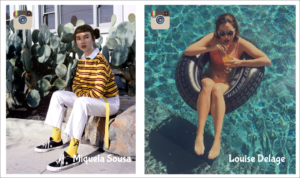 Boosting Delage’s following in just a month was the result of an elaborate acquisition strategy, rooted in native Instagram content and user habits according to the creative agency BETC and production company Francine Framboise. The look and tone of Louise’s posts, even down to her favourite filters, were informed by study of fashion bloggers. Two to three images were posted each day at periods of high traffic: morning, lunchtime and late at night. Each included up to 30 related hashtags. A bot was created to like and follow carefully chosen accounts on Delage’s behalf – thus prompting them to follow back – while influential teenage thought-leaders were shoulder-tapped to “spread the Louise Delage profile among their own followers” as part of a “key opinion leader strategy”. The subterfuge then became the subject of a media awareness campaign and the agency explained to the print media that Louise Delage was in fact an alcoholic and directed readers to a YouTube film that outlined what the campaign was trying to achieve. “We got 50,000 ‘likes’ but did people really know what they were liking?” asks the film. By this time, Louise had amassed 10,000 followers which swelled to over 100,000 in the post-reveal frenzy that followed. The YouTube video has been viewed over half a million times and the hoax generated media coverage across the world and a significant amount of traffic to the charity’s website. Which only goes to show that truth can sometimes be stranger than fiction.